Real Estate has been my passion since 1980. Nothing equals the satisfaction of handing keys to an excited buyer or adding “SOLD” to a happy sellers yard sign. I’m honored to say that 70% of my business comes from repeat clients and their referrals. With over 23 years of experience in the Real Estate business, Edith has been fortunate to work alongside an amazing team which has given her the opportunity to assist her clients in achieving their goals in either selling or buying real estate. Edith’s purpose in her profession is to assist her client’s through every point in the process so that the transition of placing a “SOLD” sign on the seller’s property or handing over the keys to the buyer’s new home is seamless. Brian Moore and Dan Mancinelli each bring a unique perspective to their partnership and since joining forces their expert negotiating skills and cutting edge marketing have made them the number one team in their area.They hold numerous sales records and are widely recognized experts in Los Angeles real estate. Extensive experience in a broad spectrum of real estate transactions including specialized training for the complexities of short sales have earned Brian and Dan a reputation as agents with the utmost integrity. At Sotheby’s International Realty, Elizabeth Daly has found her home. Every skill set she’s developed in her prior careers (as the Fix-It Chick on Lifetime or as a senior executive in the non-profit sector) translates beautifully to helping her clients get the deal done. She can be tough when she needs to be, understands the art of compromise, and will go deep into the weeds so her clients don’t have to. Not to mention that having your own personal “fix-it chick” on board will help you realize the potential in all those hidden gems. She’s also a ten-year resident of Mt. Washington, mom to a third grader, Abbey, at Mt. Washington Elementary, and owner of a rescued Chiweenie named Bacon. 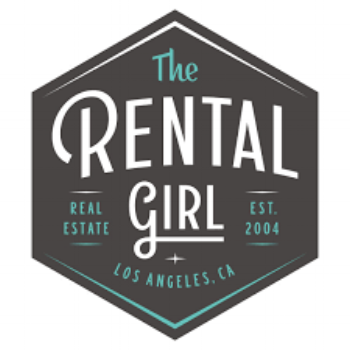 From the beach to the canyon trails of NELA, she’s ready to be your guide through the wild world of LA real estate. Raised in Los Angeles, Brad is exceptionally well-respected for his professional track record. He is proud to be the person people turn to when it is time to buy or sell their home and understands what it takes to get the deal done. Creative marketing, tough negotiation and an intimate knowledge of the market allow Brad to protect his clients' interests and ensure their success. He listens, problem solves and brings honesty and integrity to every transaction. The Cleaners - Mt. Washington is your best choice for earth friendly dry cleaning, expert tailoring, and professional laundry services! A family owned and operated business for over 20 years, The Cleaners - Mt. Washington has earned a reputation for great customer service and expert laundry service. We look forward to many more years of taking care of you and your wardrobe! Pepe’s Tire Shop serves customers in Los Angeles, Pasadena, and Glendale, CA. If you're looking for an auto repair shop you can trust in the LA area, you can count on us to deliver quality work at a fair price. Our team of expert technicians offers auto repairs ranging from brakes and oil changes to wheel alignments and steering and suspension work. Our auto repair and tire shop is also proud to be recognized by the BBB. Writ Large is an LA-based entertainment management and production company that specializes in writers, directors and actors in film and television. When you work with one of us, you work with all of us. That’s just how we do business. As representatives of both buyers and sellers, we understand the complexities and milestones involved on either side of the real estate transaction and strive to simplify the experience on behalf of our esteemed clientele. Bringing lawsuits against corporations, railroads and insurance companies in and around the Southwestern United States, Ed Pfiester holds an esteemed position in the ranks of trial attorneys and is respected by both his peers and his adversaries as a lawyer who can get the best monetary damages recovery possible under all the circumstances of any case he undertakes. Lisa is proud to be part of the professional team of Realtors at the Coldwell Banker Pasadena office, which dominates real estate sales in Pasadena and the San Gabriel Valley. She is known for her poise and professionalism, strong communication skills and her ability to close escrows successfully and efficiently. Her number one priority is to help clients achieve their real estate goals with minimum stress and maximum profitable enjoyment. Her attention to detail and her hard work ethic ensures the needs and expectations of her clients are addressed in a timely, trusting and ethical manner. As a client, she will ensure that you have her undivided attention throughout the process. Lisa specializes in Arroyo Living including Mt. Washington, Highland Park, Eagle Rock, Pasadena, South Pasadena and Altadena. Teukolsky Law offers comprehensive legal advice and representation to employees in all employment matters. With over eighteen years of experience, Lauren Teukolsky is an aggressive and compassionate advocate for her clients. Ms. Teukolsky has won the prestigious California Lawyer of the Year Award for her work on behalf of employees, and has been designated as a Super Lawyer since 2012.